SCROLL THROUGH PHOTOS BELOW TO FIND LINKS TO CHECKLISTS. SOME TOURS ALSO INCLUDE TRIP REPORTS. Countries visited include Panama, Honduras, Belize, Jamaica, Ecuador, Colombia, Peru, Brazil, South Africa, Namibia, Australia, Borneo, Thailand, India, and Nepal. Checklists may also be found at the end of photo collections for each tour. Click HERE to go to photos. Click on the link below to view final checklist. Click the link below to view the final checklist. Please note that this was a large group (18 birders) that birded in two separate groups, which meant that more ground was covered than would be possible by a normal group of 10 - 12 birders. Daily and total counts are much higher than normal due to this arrangement. Click the link below to view the final checklist. Click a link below to view the final checklist or trip report. Click the links below to view the final checklists. Click one of the links below to view the trip report and/or final checklist. Click the link below to view the trip final checklist. Click one of the links below to view the trip report and/or final checklist. Photo quality is best in the 2007 Word document (.docx file). trip report and/or final checklist. Photo quality is best in the 2007 Word document (.docx file). Photo quality is best in the 2007 Word document (.docx file). Please note the final checklist contains a daily count for both the Western Cape Tour and Subtropical Tour. checklist. Photo quality is best in the 2007 Word document (.docx file). Click one of the links below to view the trip report and/or final checklist. Photo quality is best in the 2007 Word document (.docx file). You can see photos of this trip by clicking the White-tailed Trogon photo at the left. Click one of the links below to view the trip report and/or final checklist. Photo quality is best in the 2007 Word document (.docx file). You can see photos of this trip by clicking on the Blue-naped Chlorophonia photo at the left. Click one of the links below to view the trip report and/or final checklist. Photo quality is best in the 2007 Word document (.docx file). You can see photos of this trip by clicking the Inca Jay photo at the left. Click one of the links below to view the trip report and/or final checklist. Photo quality is best in the 2007 Word document (.docx file). 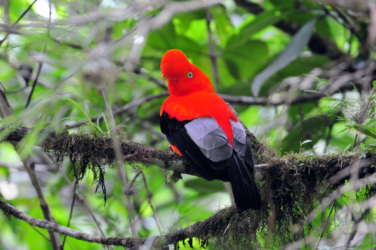 You can see photos of this trip by clicking the Violaceous Trogon photo at the left. Click one of the links below to view the trip report and/or final checklist. Photo quality is best in the 2007 Word document (.docx file). 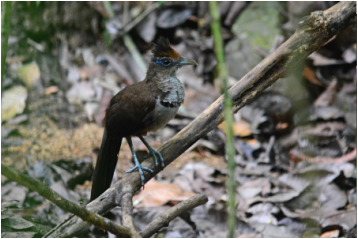 You can see photos of this trip by clicking the Rufous-tailed Jacamar photo at the left. Click one of the links below to view the trip report and/or final checklist. Photo quality is best in the 2007 Word document (.docx file). You can see photos of this trip by clicking the Crimson-rumped Toucanet photo at the left.